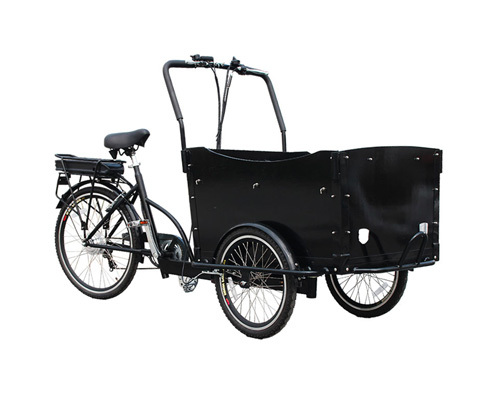 A lot of people don’t know but we also sell commercial electric tricycles. 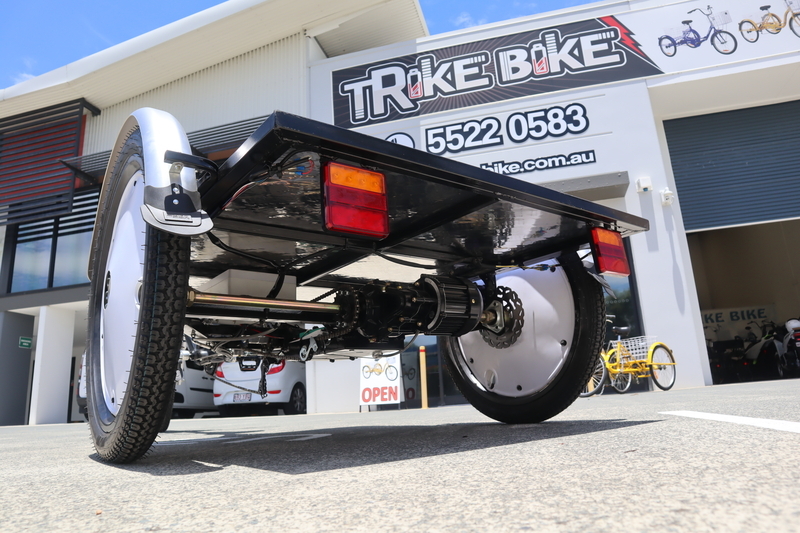 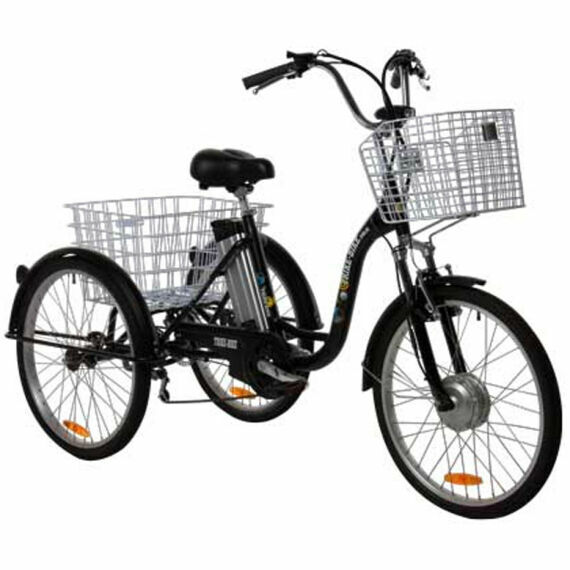 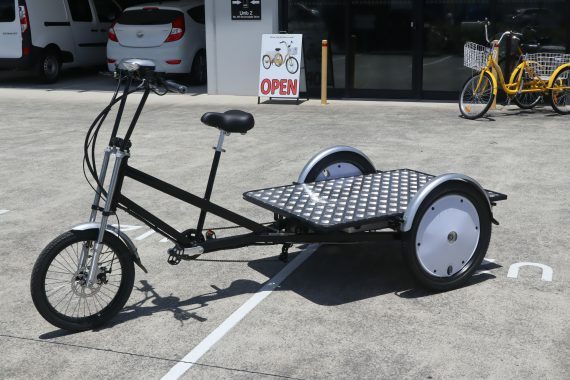 This model is called the Trike Bike CARGO MAX and is designed for loads up to 400 kg. 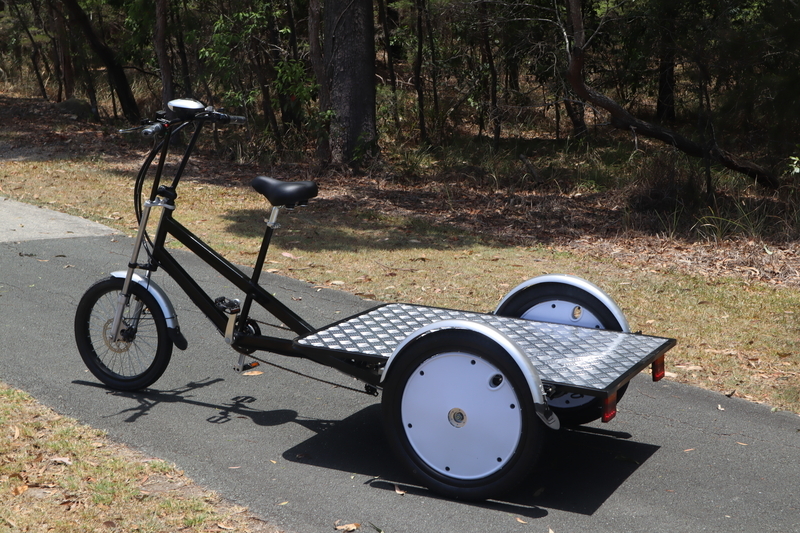 We have sold these units to wildlife parks, zoos, commercial boat-builders, military including air-force and navy and even for conversion to large mobile cappuccino machines. 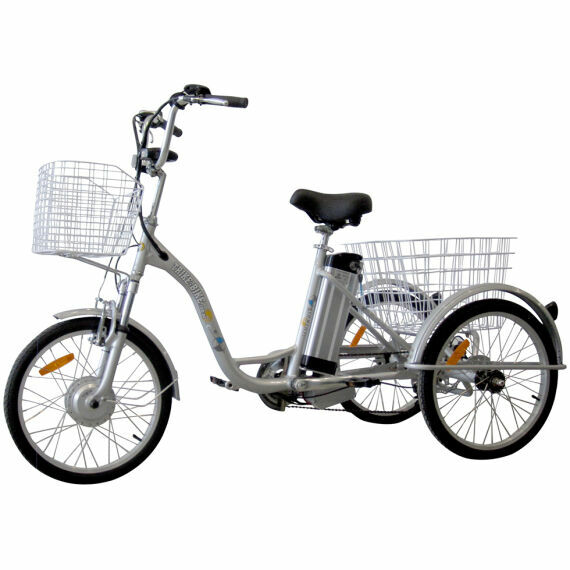 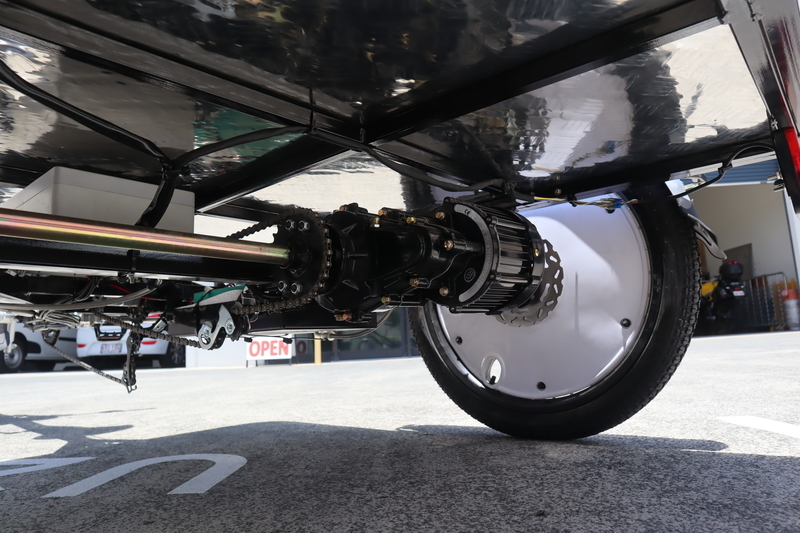 These trikes feature strong electric motors with about 40 km range. 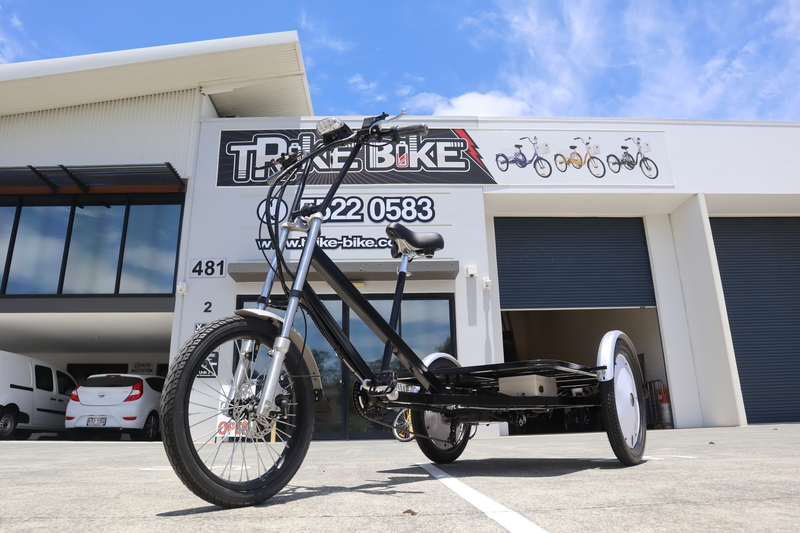 The CARGO MAX trikes have what is basically motorcycle forks and a motorcycle back-end along with hydraulic disc brakes, lights, horn, indicators and brake lights. 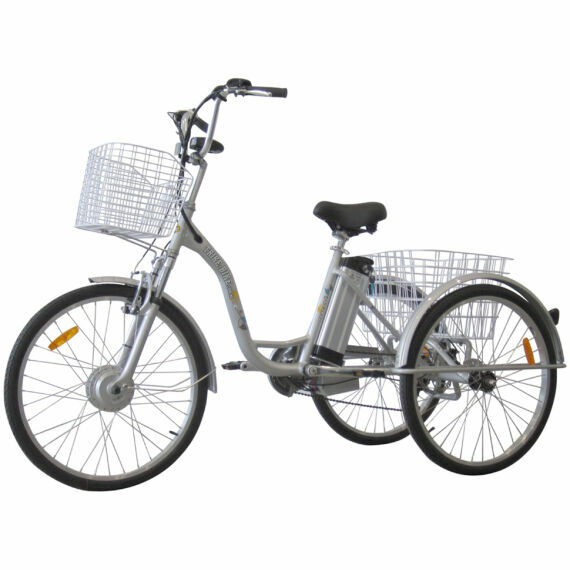 These trikes are ideal for carrying heavy loads.